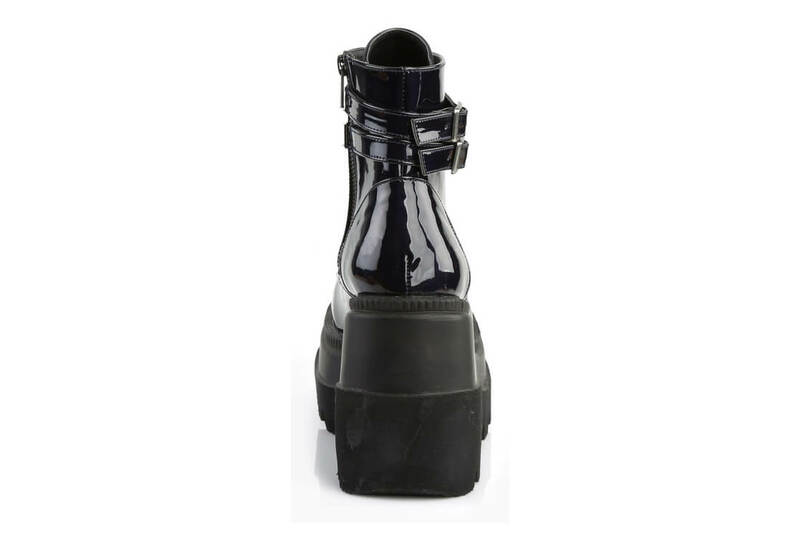 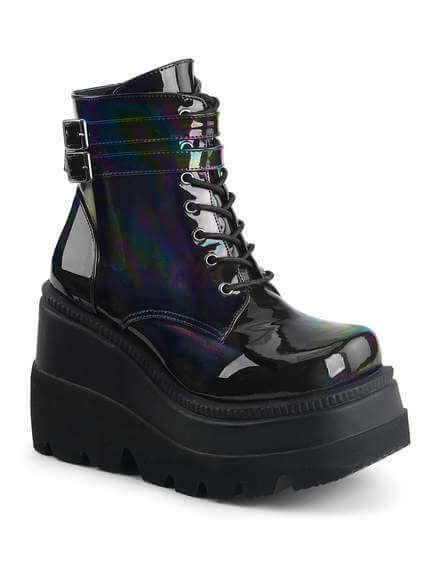 These black platform boots are made from iridescent hologram patent leather. 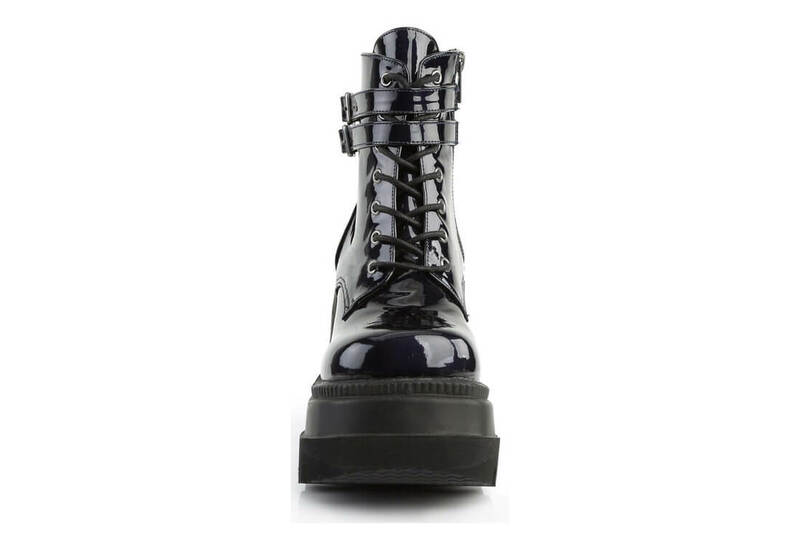 The front laces up and has two small buckle straps at the ankle. 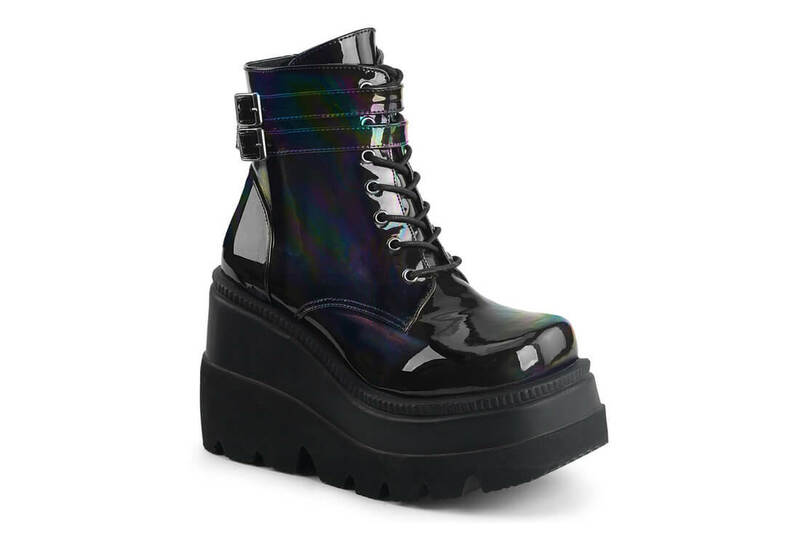 The platform wedge measures 4 1/2 inches at the heel. 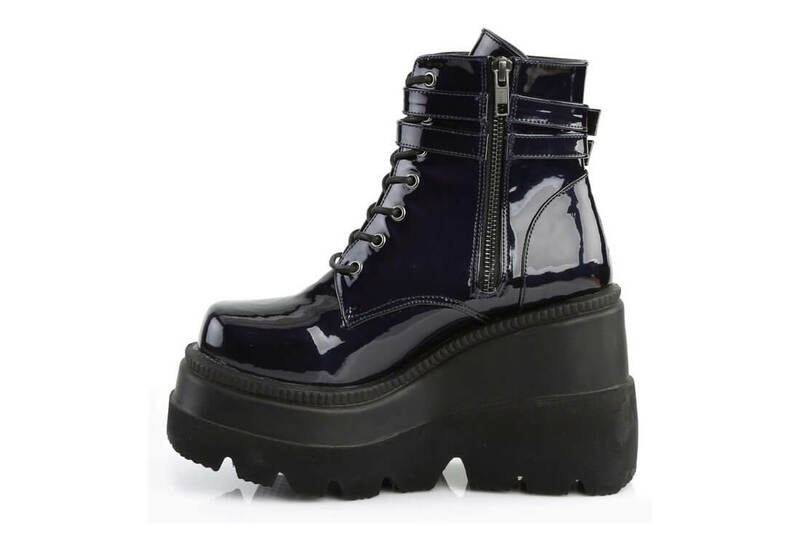 Comes with a full inside zipper.